Your audience likes your character and your storyline, so why do you want to yank them from it by taking them to another time? I know, I know, it’s because you need to explain something. But you see, that right there is the reason why you shouldn’t be doing it. Writers aren’t supposed to “explain” things in scripts. You do have to give the audience information, but it needs to come through plot and character — and always if you can, through conflict. It’s better to see your character react to the information the writer wants to get out there in the here and now rather than have it explained in flashback. Learning about some terrible deed or deep back story is an excellent way for us to get closer to your character and understand him or her in a way that illuminates the plot. But if you let this conflict play out in the present with those who surround your character, it will undoubtedly make for better conflict. Let’s look at Jaws for example. 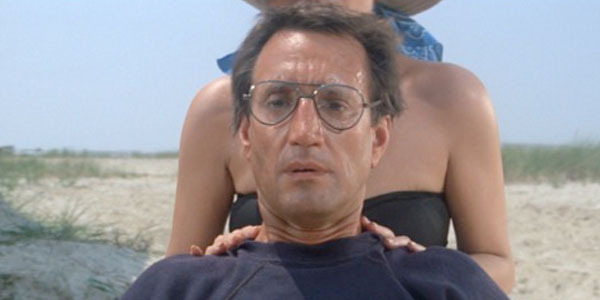 Do we need to see what happened to Chief Brody in New York City that made him abandon his job and move to the island? Why is he afraid of the water? These are questions that could be answered in flashback, but instead the writer chose to advance the plot around these questions, giving the audience a deeper experience by leaving some things unsaid. It’s a tough one to hear, but flashbacks are often used by new writers because it is an easy way to explain something that happened in the past. And, that’s not to say that they can’t be used sometimes, but more often than not, you can find a work around. Challenge yourself to see how you can get this information out without going back in time. It could come out in dialog. Your character could find an old object – like a necklace or a ring – and speak to someone else in the present about how he or she is feeling. Or better yet, another character notices how upset your protagonist is when he or she picks up the ring and then pushes for answers. This is how you get conflict – in the here and now – into a scene and also give us the information that would come out in the flashback. That said, if you want to do a campy horror mashup, like Wayne’s World, then maybe a flashback could bring a comedic a vibe to your film. What’s worse, seeing the terrible childhood and abuse on screen or seeing an actor relive those moments with years of anger, frustration and sadness on his or her face? Why take this moment of remembrance and have your director cast it with another actor who isn’t even playing the role of the protagonist? You’re robbing your cast of being able to express this moment again, in the here and now. These are just a few reasons why challenging yourself to avoid flashbacks could make your scenes more exciting, your dialog more interesting and your script more appealing to cast. But we’d love to hear your thoughts, too. Why do you think avoiding flashbacks is a good idea? 71 Replies to "4 reasons not to use flashbacks"
Flashbacks done right are not for beginners, they require skills and an artistic understanding of visual arts and moviemaking, not just of screenwriting tools. Thanks for the comment! All good points. I agree R.V. with your points! I feel a flashback can be the story. It starts in the present because a current action reminds someone of a personal experience in his or her past that has relevance and then the story returns to the present. I believe that past experience has to be seen on the screen to have value to the audience. Telling the story would be boring to the audience. If I’m not mistaken, didn’t Citizen Kane begin in the present and then the story delves into his past. To say flashbacks should be avoided is like saying montages should be avoided. Both are simply tools the story-teller can master or fumble. Little Big Man is a total flashback as soon as Dustin Hoffman begins telling his story, but the movie works, not only because of great acting but because the story is consistent in the telling (or “showing” if you feel the need to be pedantic). And why should we be afraid of “going back in time?” The collective myth that time only goes in one direction confines us to the overbearing present, even when the future is involved. Writing a script without temporal flexibility is akin to writing one without subtext or having no subplots in the story. True, flashbacks are not always the best way to explain what happened or why, but when the writer wishes to keep the audience in suspense until the end, a flashback can be the best way to reveal the solution at the right moment. As well, there’s a difference between a character having a flashback and the audience having one. The former involves the character’s memory, the latter provides exposition. Which is better? Only the screenwriter can decide — until the audience decides. Let’s not create more scriptwriting rules than we have already. Great points! We should definitely write about montages next. Good one! Ohmigawd ~ “gag me with a spoon!” Flashbacks a no-no?? I agree with all of the replies countering this “fake news” click-bait story. (2) Casablanca (1943) – who can forget that romantic reminiscence of Rick’s? (5) Rashomon (1952) – nothing need be said! Great list, Lisa! Thank you! BTW ditto Sophie’s choice (like THAT example). Pulp Fiction demonstrated that we don’t have any steadfast rules. (to quote BeetleJuice) “Hey, these aren’t my rules! Come to think of it, I don’t have any rules!” The American film audience has evolved rapidly throughout the past century. They give us their attention, precious blocks of time out of their lives and continue to stretch their capacity to suspend disbelief. The same audience member who can overlook a sound boom operator in Levis walking through a battle scene understand that if you can’t buy the premise, you can’t buy the “bit”..will accept a stage full of kindergartner-painted trees and paper machet rocks all to GET THE STORY. Mankind has never been without the addiction to “story”. We have a captive audience. We owe them whatever excruciating effort we can make to lessen the burden on them, even if it means sacrificing your time and page count. Ridiculous. Some of the best films ever made used flashbacks. But since most people have no knowledge of film history, it’s easy to see how someone might make this ridiculous suggestion. No flashbacks. Really? Have you seen any French films of the 60s? Or Italian ones? Nonsense. Horrible advice. There is a basic conflict of concepts here… What makes a film and what makes a great film. I needed to have a back story. When I posted it chronologically, it made the start so slow that no-one would read beyond it. When I tried it as a flashback, it brought the script to a grinding halt. Finally, I tore up the “show-don’t-tell” rule and had a character just simply tell Mr McGuffin about the event. I replaced 22 pages of action with 1 page of dialogue and, at last, the script worked. BTW ditto Sophie’s choice (like THAT example). Pulp Fiction demonstrated that we don’t have any steadfast rules. They change as needed. (to quote BeetleJuice) “Hey, these aren’t my rules! Come to think of it, I don’t have any rules!” The American film audience has evolved rapidly throughout the past century. They give us their attention, precious blocks of time out of their lives and continue to stretch their capacity to suspend disbelief FOR US. The same audience member who can overlook a sound boom operator in Levis walking through a battle scene in “Gladiator” understands that if you can’t buy the premise, you can’t buy the “bit”. He will accept a stage full of kindergartner-painted trees and papier mache rocks all to GET THE STORY. Mankind has never been without the addiction to “story”. We have a captive audience. We owe them whatever excruciating efforts we can make to lessen the burden on them, even if it means sacrificing your time and page count. I don’t disagree — using a flashback to “explain” a character’s “character” should be unnecessary, as his or her personality ought to be written into his or her interaction with other characters. But I can think of an example where a flashback should have been used — and (of all movies) it’s in Hitchcock’s “personal favorite”, “Shadow of a Doubt”. A flashback is sometimes the best way to build suspense, by withholding information until it can be delivered at the best point in the story. Another pile of crap from Screenwriting U. Did you take the Pro-Series? It will help you immensely. Keep writing! Screenwriter U is in the business of selling dreams to wannabe screenwriters. Hi Darlenne, Thank you for your comments. Would love to hear more about your ideas. Thanks! Thank you for your comment Darleene. Will consider this for future posts. As Joseph Campbell would say, you are “following your bliss”. I think SWU has a course on turning your book into a movie. Yes, let me know if you want more information on that. Thanks!! Yes! I remember. So glad you’re still writing. Love Joseph Campbell! Another reason to avoid flashbacks, you don’t destroy a treasured film franchise by showing in horribly poor detail what happened to make the villain so bad, alienate your core audience so you dump it all on Disney to exploit for their own profit and where other filmmakers go in later and hack it up just to get some positive feelings back. So, yes, the first three episodes, the prequels, of Star Wars are nothing but a giant failed flashback. Having said that I realize I did use a couple of very brief flashbacks at the very beginning of a recent script, which could be used during titles: The protagonist, an adult, is carrying a pallet with a dead boy to a grave and has brief childhood flashbacks (totaling less than a minute) of his siblings & mother dying. We get a slight understanding of his emotions, but it doesn’t come out until much later what caused their deaths. Great examples! Thank you so much for commenting. Some of the best movies ever filmed use flashbacks: Citizen Kane, The Godfather Part II, Pulp Fiction. write multiple drafts and get a table read, picture yourself as the director, would you like the flashback draft better or non-flashback draft? the key is that nobody knows which draft a writer submits its final work. It will always be referred to as the first draft before the shooting draft is scheduled by the directing team. – If you write it for yourself, for you play, produce, direct it; then you will understand how all means are different, and why there are no real unbreakable rules in creative media writing. You only need to think in their shoes, the bosses who were discussed above. This is fabulous advice – test it out! See what happens, it’s a good challenge to see if it works or not. And sometimes, it might. An even better example from Jaws – the Indianapolis story. Much more powerful with Quint telling about it versus a flashback. A deeper lesson from that scene is that words/dialogue don’t make a story less visual or cinematic. So true! I should have added that – thank you for commenting. So powerful in the moment. Flashbacks are a tool that sometimes work best. If a writer has exhausted all other possibilities and the flashback is the best way to go, then go with it. These absolute rules of “never” and “always” don’t work well in creative fields as they are much too limiting and inflexible. Just use them conservatively, as with many things overuse will just confuse the audience. Also, established writers can use them and get away with it whereas a new writer would probably have it held against them as being amateurish. It’s not fair but it’s just the way it is. If Aaron Sorkin uses one it’s brilliant, if a new writer does it’s sophomoric, even if both uses compared equally in their use. How about a future article with your take on that other scriptwriting no-no, the voiceover, to really stir things up? In my movie “Wise Guys Don’t Dance” I used one flashback which was my female lead’s dream. Although it was short, it showed where she came from and where she is going. Sounds good William. I think the point everyone is making so well is that they should be well thought out – sounds like you’ve done that in your script. Bravo! An example of a flashback working much better than just telling is in “The Shawshank Redemption” when Tommy is telling about a former cellmate, Elmo Blatch, and we see Elmo telling the story of how he murdered the golf pro and his mistress, who was married to some banker they pinned it on (the protagonist Andy Dufresne). Simply having Tommy tell the story would have been much less dramatic. Seeing and hearing the murderer tell it and laugh about it was much more effective. 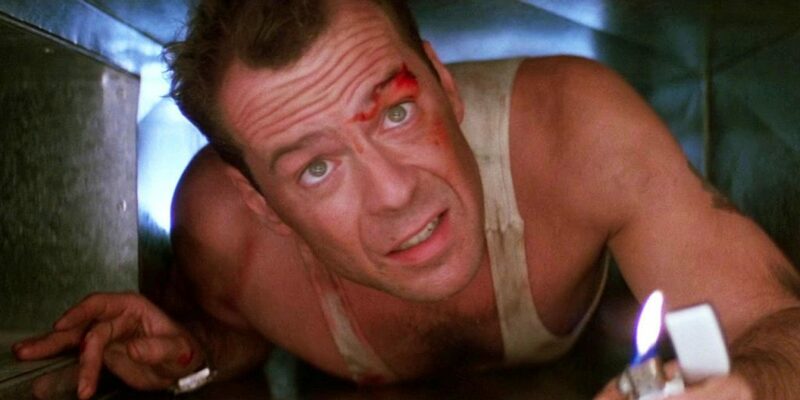 I’m sure everyone can remember a movie with a flashback that just wouldn’t be as good if the flashback were replaced with exposition to reveal the needed back story. Love Shawshank! So good! Great point and everyone should watch again. Love that movie. An artist never vows that he won’t use a certain brush when creating his canvass story. When it creates the perfect shade, shape, blend, or contrast, he uses the brush that creates the exact nuance he desires. Although I appreciate the 4 reasons given in this piece, I am keeping all my brushes for possible use in future screenplays and, if the flashback brush is the one to use, I’ll use it appropriately. Well said – great point! Love the metaphor of writing like painting. All good movies! I would argue though that Casablanca might be more mysterious and inspire the imagination more if we didn’t see that flashback in Paris, but just some food for thought. Thank you for your comment! My favorite film “Goodfellas” is structured entirely upon the use of flashbacks. I think it turned out pretty good. Great point. Love Goodfellas – excellent exception! Reasons not to read articles like this one: No. 1) They reductively look at and mention only poor or not-so-effective uses of flashback. Where are the good use examples? No. 2) They create false equivalencies and use triangular non-relationship logic. So… if bad writing uses flashback in a bad, ineffective way, then the writing tool itself must be bad. And thus its use is bad—it’s “amateur.” False. Because the reverse is not true. Good use of flashback in a highly, effective way is good writing and may be present in a great screenplay. (Molly’s Game, I, Tonya, Manchester by the Sea, Arrival, Citizen Kane, Raging Bull, etc, etc, etc) This false logic places blame upon flashback and not on the real culprit—bad writing. Good writing versus bad writing. No. 3) They present a one-sided argument that only supports their narrative and present it as fact. No. 4) They then ask a skewed, leading question at the end, which implies, again, that the tool itself is bad: Why do you think avoiding flashbacks is a good idea? Thank you Beth! I had fun reading this – well written! I don’t dispute the prevailing advice to find another way, if possible. Quite a few films have already been noted here that use the flashback dramatically. I would suggest looking at the film “Philomena,” written by Steve Coogan and Jeff Pope, directed by Stephen Frears, for a great illustration of how the flashback works and why it works. In this case, the protagonist, portrayed by Dame Judy Dench, is haunted by events of her teen years, and the flashback is the perfect device to show the emotional pain Philomena is living with — it’s as if she’s living in both the present and the past. Philomena – great film! Thanks for your comment, Peter. I agree that flashbacks and flash forwards for that matter are often over used. Jumping around in time can be well done but also trendy and gimmicky. The classical Aristotelian unities of time, place, and action might seem old fashioned for both play and screenwriting but have lasted for centuries. When I see a film that seems to indiscriminately use flash backs and flash forwards I get annoyed, taken out of the piece and wonder if the writer just wants to show off how clever he/she is. I believe there must be some validation by way of plot, character, theme, atmosphere etc. to justify the use. A lot of writers might want to be Charlie Kaufman or Laurence Sterne but face it you are not. Sometimes it is just better to play it straight. I as everyone here can list great movies to support their claim but there are more worse and mediocre one as well. I agree with some points in this article, but moreso comments of other readers. I did approach the article negatively after reading the caption under the first photo: “How much BETTER is it that Jake TELLS Evelyn about what it was like to work in Chinatown rather than cutting away from this moment to SEE it?” Um… one of the first things you learn is that screenwriting is about SHOWING/SEEING NOT TELLING!! “Possession” from Byatt’s book is filled with clever flashbacks. The real question in the use of flashbacks then, is what is their purpose? A writer knows if he is using one for the wrong reasons. If he doesn’t, maybe he should be writing novels or short stories instead. 2) There is even less wrong with weighing the pros and cons of using any technique. Let’s not be too defensive here. 4) There are also flashbacks where suddenly I am somewhere else and not in the story I was following and wonder why and have to retrace my bearings in the story. I don’t care for those much. 6) However flashback seems intrinsic in the genre of Film Noir. 7) There is also the type of movie where the whole story is framed as a flashback, Sunset Boulevard and Invasion of the Body Snatchers as examples. This would call for an article of its own. I’m interested in the relationship &/or difference between film & novel and might want to turn a dystopian novel I’ve written into a screenplay. I’ve a short scene, less than half a page, where my archaeologist protagonist finds something, which many years later proves to be significant, and hides it from the authorities. He’s thinking/remembering about it near the beginning of chapter 1 (probably not recommended for the prose author either?) and this short flashback seems to work. (Also recommended to ‘start where the story/crisis/action begins, which is what I’ve done.) But I certainly wouldn’t do this with a screenplay–the scene could even be a good introduction. Now I’m wondering why. What’s the difference? I think this sounds great Izzy! Go will your gut feeling. This doesn’t really sound like a flashback but more of a hook scene. Then you can cut to the present and add a title card that reads “several years later…” or something like that. Wow. Reading through, I think a lot of people missed the point. Very often new screenwriters will over-rely on a technique either because it’s an easy way to solve a story problem or because they’re emulating films they like. Your job as a screenwriter is to do neither of those things. If you can read this list and you still feel in your gut that a flashback is right for your story (or even better you can articulate a reason) then flashbacks are probably the right choice. Another thing to keep in mind is that the people who read scripts in Hollywood don’t spend their time reading brilliant, amazing scripts. Most of what they read is crap. Very often there are trends in the crap and they’ll tell your agent something like “Do not send me anything with flashbacks!” And then it doesn’t matter how right your flashbacks are, you’re sunk. You’re going to have to write your story without the flashbacks and you need to know how to do that. When I was in film school this happened with voiceover. No one wanted to read anything with voiceover. Voiceover is a technique like flashbacks which can be either a brilliant choice or a sign of lazy storytelling. As a screenwriter, you need to be reflective enough and honest enough to understand your own choices. Thank you Marshall for saying better the point I was trying to make. Thank you!! I would rarely use flashbacks. It can convey to the audience more understanding of the character, but is it really necessary to show past mistakes if a comedy or tragedy if a drama. Utilizing flashbacks doesn’t mean it will enhance the script. A script is in the here and now. Present tense conveys action and you want hook the audience. Until I read this article, i did not realize how lazy and amature the Godfather scripts were. How did it win so many Oscars? Goodfellas, too. Flashbacks can be a powerful story-telling technique when used correctly. I’ve tried to think of a movie that has tanked at the box office because it used flashbacks, but none come to mind. On the other hand, there are many excellent movies that used flashbacks and were box office hits. Several movies using flashbacks successfully have already been mentioned above, and I would add “Fried Green Tomatoes,” which was successful precisely because it so effectively used flashbacks throughout. Sometimes, the best way to “show and not tell” in a script is to use a flashback, and I don’t think we should be discouraging writers from using that technique.